New Delhi: India and Timor Leste have signed a memorandum of understanding in the field of public health to extend affordable healthcare to the people of the Southeast Asian nation, the External Affairs Ministry said here today. The MoU was signed as Krishan Pal Gurjar, the minister of state for social justice and empowerment, concluded a four-day visit to Timor Leste, the ministry said in a statement. During the visit from April 7-10, Gurjar called on Timor Leste President Francisco Guterres Lu Olo. He extended Olo an invitation from President Ram Nath Kovind to visit India. Gurjar also called on Timor Leste Prime Minister Mari Bin Amude Alkatiri and met Minister of Foreign Affairs and Cooperation Aurelio Guterres and Minister of Justice Maria Angela Guterres Viegas Carrascalao. He interacted with the Minister of Tourism Manuel Vone and Minister of Education and Culture Fernando Hanjam. 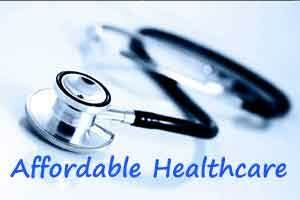 India has offered to share its expertise in matching information technology with healthcare through telemedicine. In his discussions with the Timor Leste leadership, Gurjar conveyed India’s “strong desire” to partner with the country in its socio-economic development, the statement said. “Recognising the need to enhance and expand the areas of cooperation between the two countries, the two sides agreed to have enhanced interaction through bilateral institutional mechanisms to further strengthen the existing friendly ties between the two countries,” it said. Gurjar recalled the ties between Goa and Timor Leste and extended an invitation to a delegation from the country to visit Goa and explore their ancestral and heritage linkages. Goa and Timor Leste were under the Portuguese rule. The Timor Leste side briefed Gurjar on their developmental priorities and expressed a desire to expand cooperation in building infrastructure, education and maritime sectors. It also briefed him on their efforts to join the Association of Southeast Asian Nations as a member state.